This system was visited for the first time on EDSM by Dakeyras. 5569 ships passed through Omega Sector VE-Q b5-15 space, including 27 ships in the last 7 days. 8 ships passed through Omega Sector VE-Q b5-15 space in the last 24 hours. 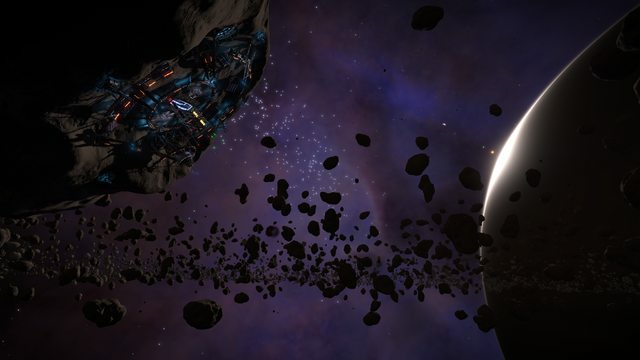 The Omega Mining Operation asteroid base is located on the edge of the Omega Nebula 5,500 LYs from Sol. The Operation is run by the independent Omega Mining Corporation, and the facility has a total population of 15,000. The facility has all the usual services and even has outfitting with a small supply of modules for purchase. The system contains two ringed gas giants with pristine reserves. It is also home to a nitrogen-oxygen water world, a possible site for a future colony.